Danny Amendola and the undefeated Miami Dolphins will look to take a three-game lead over his former New England Patriots squad Sunday at Gillette Stadium. For Amendola, it’s a reunion of sorts. He suited up with the Patriots for five seasons, earning two Super Bowl titles in the process. Though, New England refused to offer him market value in free agency this past spring. That led to Amendola signing with the division-rival Dolphins. Whether there’s hard feelings on his end remains to be seen. But he did offer a bit of a interesting comment directed at Rob Gronkowski prior to their Week 4 matchup. Was this in jest or was there something more to it? We’ll likely never know. For his part, Gronkowski has struggled big time out of the gate. 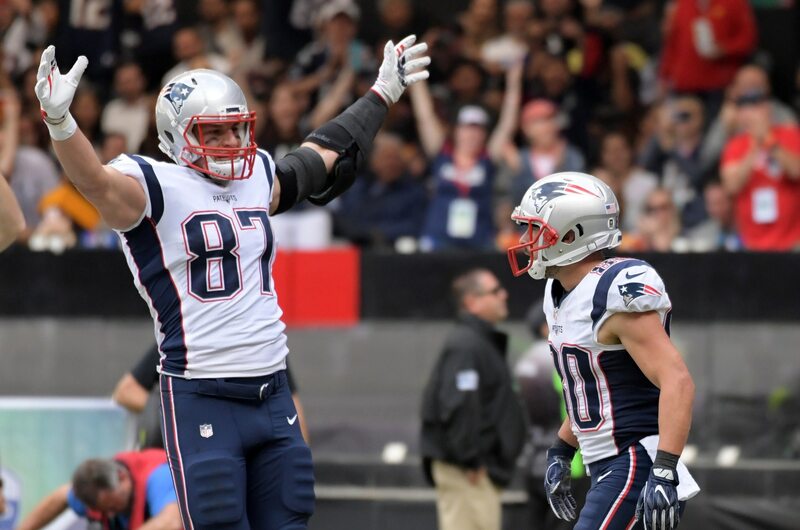 Facing double and triple teams with a lackluster group of receivers, Gronkowski has recorded just six catches for 66 yards over the past two games. While Amendola might want to pretend he doesn’t know who Gronkowski is, we’re sure the tight end would love to have him as a teammate again. New England heads into Sunday’s game with a 1-2 record and having lost two consecutive games. A loss here, and it will fall three game behind Miami in the division.